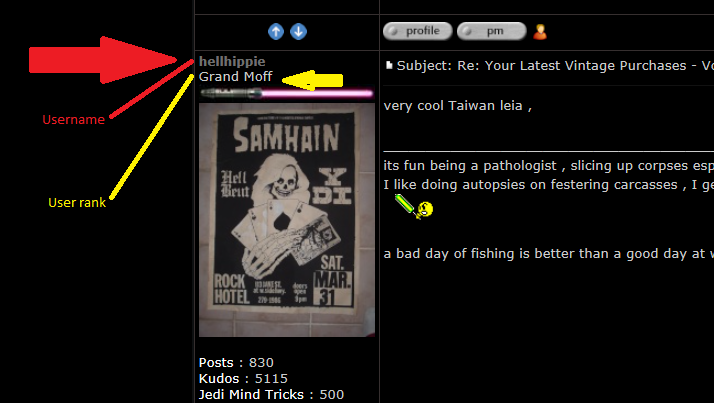 Thanks Grand Moff.I was very happy to find her. John, just for future reference: the username is at the top the next item is the user rank based on number of posts made. Nice upgrades and variant pick-ups, Bill! 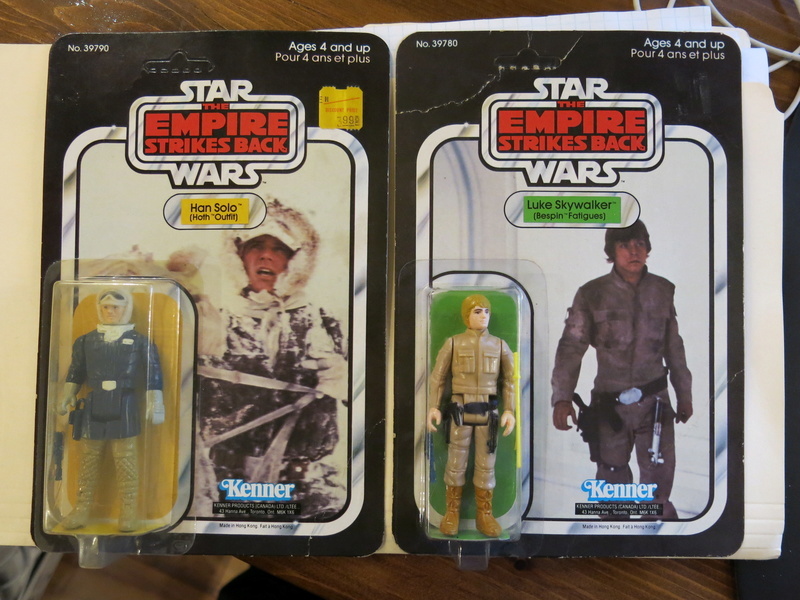 Made my first vintage Star Wars purchase for ages today, alongside other vintage goodness. A bit of t.l.c and some bits from my spares box (just one laser canon left to find) and I'll have a rather nice X-Wing to add to my fleet. Wow I was looking at some of the Britains space stuff at a toy fair yesterday, I used to have some as a kid and had forgotten about them. these were from the Birmingham NEC toy fair, it's the biggest in the U.K. reportedly, which is about a hour and half's drive for me but well worth the travelling. There was plenty of vintage Star Wars for sale, some really nice pieces, but prices are stupidly high.. it's no longer the inexpensive little hobby I started in... many many years ago, when I first started to visit toy fairs, dealers would almost be ashamed to show the stuff & looked at you like you'd got two heads if you asked "Have you got any Star Wars figures?" Hi Gorneesh, I myself think Britains space is a much underrated toy range.. the older I get the more I appreciate their retro stylings, plus, they only cost me 50p each so couldn't resist. Action Force are amongst Palitoys finest, I've got a soft spot for the first series figures, & Star Trek is just one of those things I grew up with so while I wouldn't count myself a fan I've got a certain nostalgia for Kirk & Co.
managed to get the dark grey ledy belt for my lily ledy bib fortuna which now makes him complete!! My OCD would feel really good right about now. Recent months have seen my purchases slow down dramatically as the stuff I'm looking for seems to have dropped off the radar. I suspect this is happening to a lot of collectors as new people enter the hobby and more stuff gets locked up in collections. 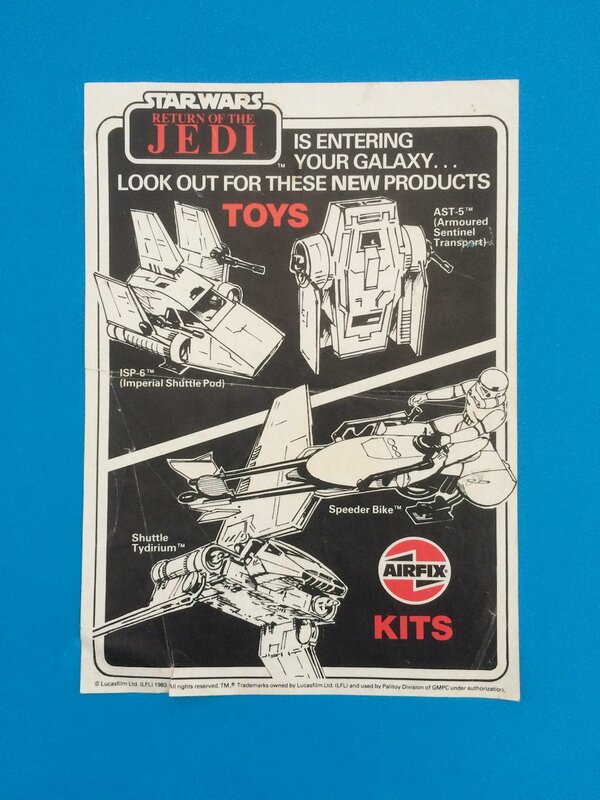 I did however manage to pick up another one of these Palitoy ROTJ/Airfix leaflets to add to my paperwork focus, this time from a shop called "The Games Corner in Preston". Here's a group shot of the three I now have, if you have any leads on another "different" ones please let me know. Nice grab, Stef. The trio looks great together. And I kind of know what you mean about purchases being "slowing down dramatically," but in a different sense. It seems like (to me at least) some of the quality is going down but the prices are going up. Love the new purchases everyone. A couple of small purchases for me. The Luke Bespin is a 41B & Han Hoth is a 41C. And this one on Boxing Day after christmas. Thanks guys. Like I said over on TXI. The bottom group are all cut bubbles, so the owner could take the figures out for display. 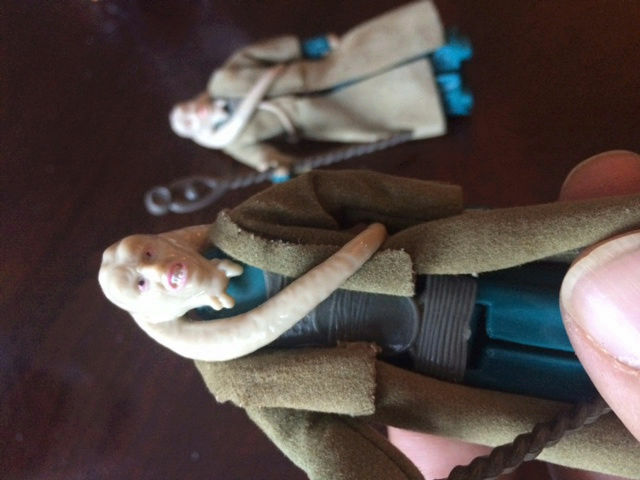 The majority of the figures are mint, and have never had the limbs "cracked". As if they were right from the factory. Most of the weapons are still taped to the bubbles as well. One of the Paploo's is still sealed though. I paid $500 for all 21. Avg. price for them was $23.81 each. Still a really good deal considering today's market inflation! Sweet haul of Canadian goodness - don't forget the fries and GRAVY! Nice work to everyone getting it done. Clint - what a bargain find for all that Canadian goodness! 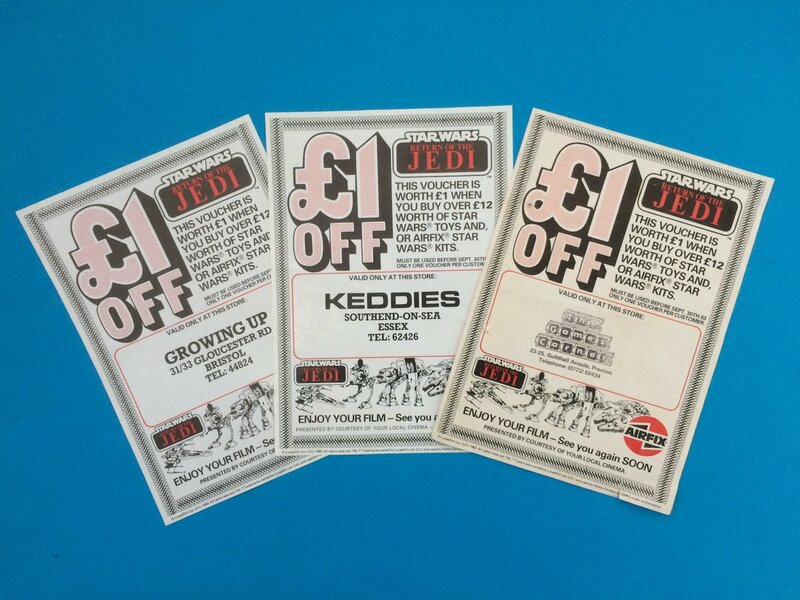 Stef - love the Palitoy/Airfix leaflets, not only are they cool but they also provide a little snippet on some of the UK toy shops of the day. 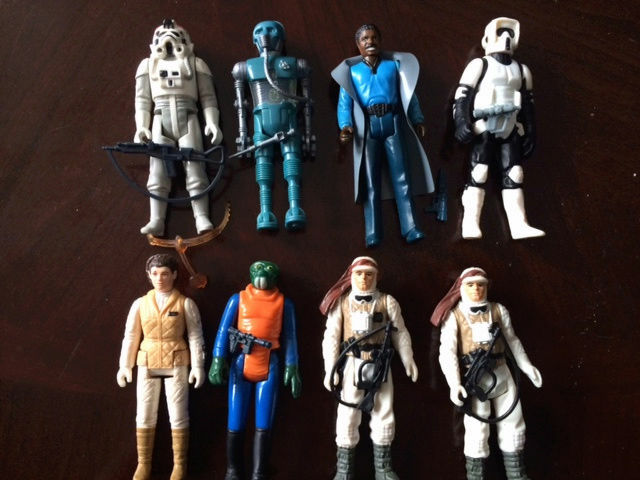 T'Shot - nice X-Wing and loose figures. I recognise the Britains German infantryman because I had a whole set of these. Also had the plastic indians with their removable accessories, but can't remember if they were Britains or not? Some of them rode horses like the figure you have with the pegs attached to his lower leg to slot into the horse. Really cool seeing those again! Bill - congrats on reuniting Bib with his LL belt! 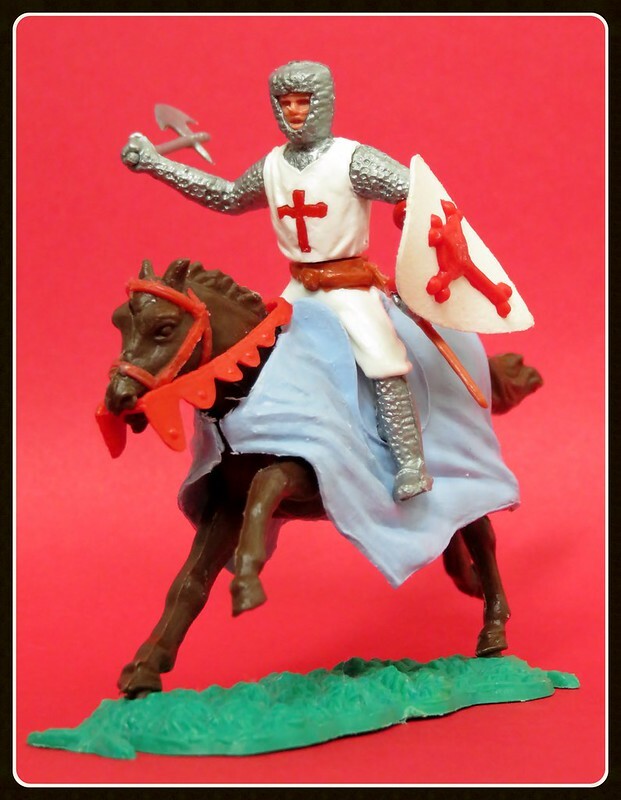 Funny you should mention those "swoppets" guys and their horses as, along with a fantastic condition Gamorrean Guard, I picked up a couple of bits to complete a mounted Crusader Knight at a toy fair today.. The Indians and cowboys were available in the US under some name because I had some. They were great fun for a long time but eventually I lost all the little pieces and I remember specifically having a bald Indian and a bald cowboy. The hair and hat long lost to who knows where. Had forgotten them until I saw your pics. T'Shot - the Crusader looks great Yes, Timpo, recognise that name now. Good work as well snagging that minty Gam Guard. Is the Willy's Jeep a Corgi? 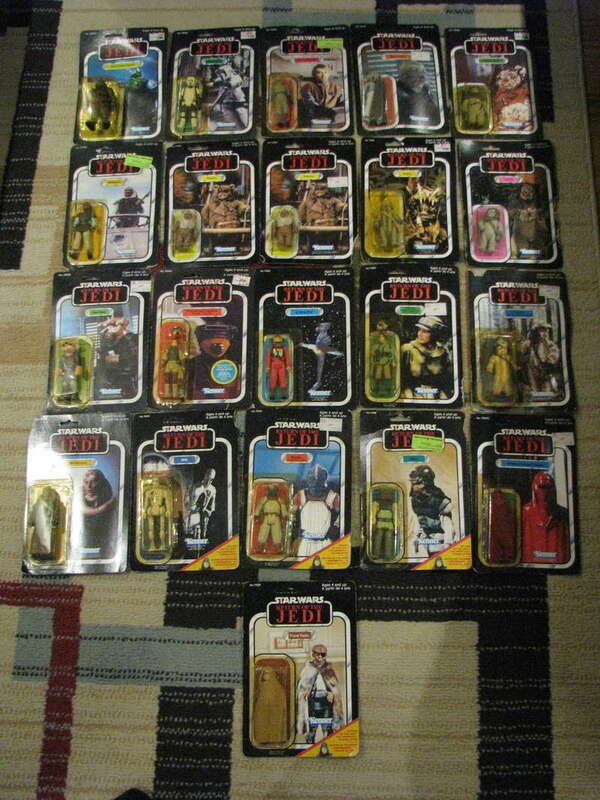 Cool to see these other toys, and it got me searching out some pics of my few remaining toy soldiers. Will post them up in a bit in the Off Topic section.